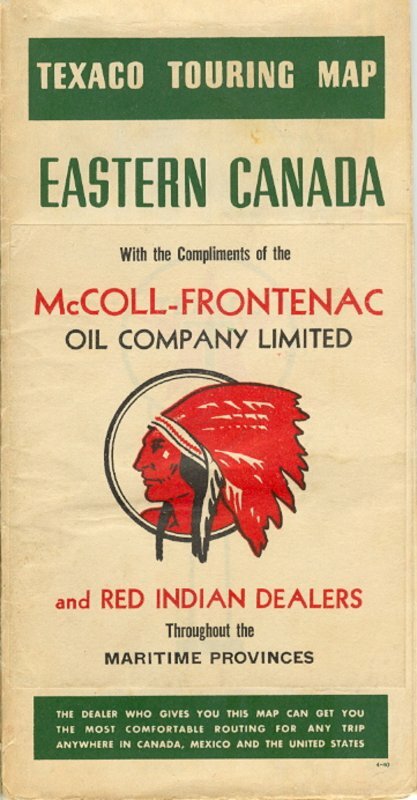 They used the Red Indian and Marathon brands until around 1940 when Texaco bought them. until 1959 when Texaco officialy changed the name to Texaco Canada, Ltd. I will expand their history when I have time. A 1933 Red Indian map scan, donated by Gary Spaid. This is a 1939 Red Indian map scan from Walt Wimer. a Texaco map with a Red Indian sticker on it.